According to Shiv Puran, Somnath Jyotirlinga is the first Jyotirling of Lord Shiva in all 12 Jyotirlinga. 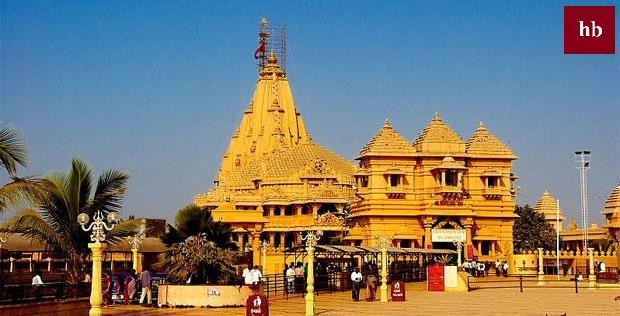 This temple is situated in the Saurashtra region of Gujarat state. It is believed that this Shivling was established by Chandra himself. 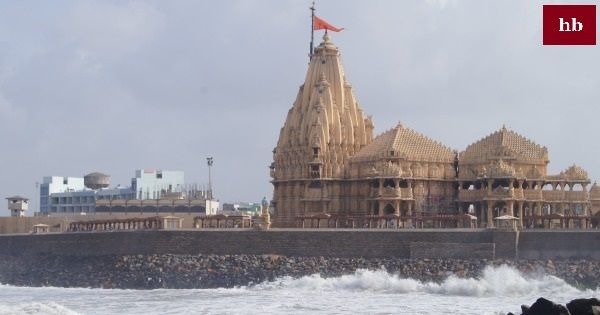 The story related to the establishment of Somnath Jyotirlinga Temple in Puran is as follows. When Prajapati Daksh married there all his seventy daughters to the moon, he was very pleased. The moon became much felicitated with the acquisition of the valiant daughter in the form of a wife and the dakkhaniyans also emerged from the moon after receiving the moon. Rohini was the most loved of her most powerful wives in the Moon, whom she had special respect and love. They did not have so much love with other wives. Seeing the indifference and ignorance of the Moon on its side, the rest of the daughters, besides Rohini, were very sad. They all went to the shelter of their dad and described their sufferings. Efforts were also very sad to hear about the misery of his daughters and the mischief of the moon. They met with the moon and said peacefully, "Kalanidee" you have born in a pure and holy total, yet you behave discriminatory with your wives. In your shelter as many women are, love for them is less and more, why is such a step-in behavior? You love someone more and give less love to someone, why do you do this? The behavior that you have done so far is not good, and then now you should not do such abuse anymore. The person, who behaves incomprehensible with the souls, has to go to Hell. "Thus Prajapati Daksh has lovingly explained his son-in-law and thought that the Moon would be improved. After that Prajapati Daksh went back. Even after explaining this, Chandra did not listen to his father-in-law Prajapati. Because of his great attachment to Rohini, he disregarded his duty and did not take care of any of his other wives and remained indifferent to them all. After receiving the news again, Prajapati was very sad. They again came to the moon and understood them through the best policy. Daksha prayed to the moon (chandram) to be justified. When repeatedly urge, even though the moon did not listen to the profanity, he cursed. Daksh said that despite my request, you have disobeyed me, so you should become tuberculosis. Along with curses by Efficient, the moon became infected with TB in a moment. He became utterly sick of his emptiness. All Devgan and Rishigun too became worried. The disturbed moon gave information about her disorder and its causes to the gods and the sages of Indra. After that, they went to the shelter of Lord Indra and gods and goddess and Vashishtha etc. Rishigan Brahmaji for their help. Lord Brahma ji told him that the incident has happened; he has to suffer, because the determination of skill cannot be overturned. After that Brahma ji described those Gods as a great remedy. Lord Brahma said that with the moon god; go to the well-wisher Prabhas region. Set up the Shivling in front of you; make a hard penance every day. When Lord Bholenath is pleased with his worship and penance, he will release them from tuberculosis. By accepting the command of the father-in-law, Brahma ji reached the Prabhas region, along with Chandra Devmandal in the protection of the Gods and Sages.There Chandra started the dedication and ritual of Goddess of death. They chanting the death mantra and worshiping Lord Shiva images. According to the command of Brahma, the moon continued to perform penance for six months and worshiped Taurus flag. Chanting the 10 millions dead-mantras and meditating, the moon remained steadily standing there continuously. Bhakta Vatsalya Shankar bhagwan was pleased with his ardent penance. They said to the moon - 'Chandra! Your welfare Tell the person for whom you are doing this harsh penance. According to your desire, I will give you the best quality. "The moon said in prayer" Deveshwar! You forgive all my sins and remove this tuberculosis in my body. 'Lord Shiva said, 'Chandra! Your art will become impaired in one side every day, while on the other side; it will continue to grow continuously every day. In this way you will be fit and healthy. Chandra Deva was very pleased by receiving Lord Shiva's grace. He devoutly praised Shankar In such a situation, Nirvara Shiva appeared in the form of Sakar Linga after seeing her firm devotion and became famous under the name of Somnath Jyotirlinga Temple in the world.Read about the temples of India here - the wonderful temples of India just like vrindavan chandrodaya mandir.